Your countertop says a lot about your kitchen. Is it traditional and classic? Or modern and chic? Or perhaps the only word that comes to mind is “outdated.” If so, it’s time for an upgrade. There are lots of options for replacing your kitchen countertops. Here’s a quick look at three of them. 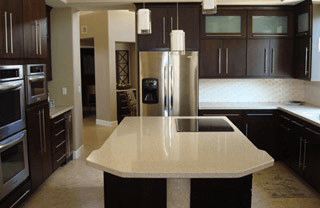 Granite has long been one of the most popular materials for kitchen countertops. Each granite slab is a one-of-a-kind piece. 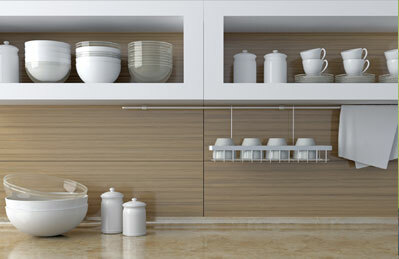 Although you can choose from a range of color palettes, each slab will feature multiple color shadings and variations. 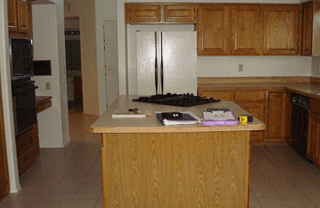 Granite countertops are beloved by homeowners and realtors alike because they increase home values. They’re also incredibly durable and low-maintenance. Once a granite countertop is installed by the experts, it only requires occasional sealing to safeguard it from stains. Marble is another premium countertop material that’s in high demand. Many people consider marble to be the most beautiful of the natural stones, with exquisitely veined patterns. Like granite slabs, each marble slab is a one-of-a-kind countertop. Although marble is beautiful, it does have a downside: It’s more porous than granite. Marble needs to be sealed regularly to prevent stains from seeping into the stone. It should also never be used as a cutting surface. Soapstone lies between granite and marble on the hardness scale. It’s a natural, quarried stone that gives homeowners an excellent alternative to granite and marble. Soapstone is particularly well-suited to kitchens that have a traditional or vintage look. The high content of talc in the stone gives it a warm, “milky” look. Soapstone resists stains well. It’s available primarily in shades of white, gray, and dark gray. Periodically, it needs to be oiled to keep its beautiful patina. 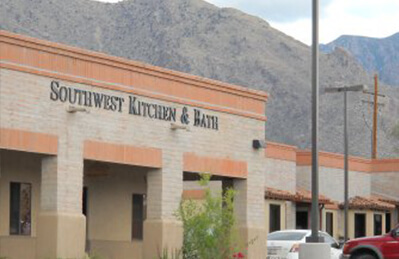 When you’re ready for a kitchen remodel, call the expert team at Southwest Kitchen & Bath in Tucson. 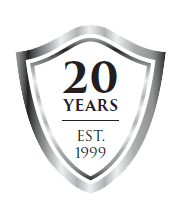 Our designers look forward to working with you and making your dream for your home a reality. Call (520) 531-9187 to get started.